The Chevy Silverado 2500 HD work trucks offer Naperville and Aurora drivers access to regular, double, and crew cab configurations along with the 6.0 L Vortec V-8 engine, automatic locking rear differential, hands-free calling, tire pressure monitoring, driver information center, OnStar access, rear vision camera, Teen Driver safety system, and so much more. They even offer better tech features than the Ford F-250. Explore our selection here, then keep reading to see why, when you’re ready to get to work, Chevrolet of Naperville is the place to go. 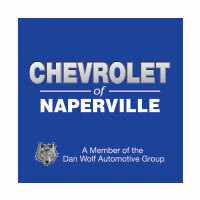 Why Choose Chevrolet Of Naperville? The Chevy Silverado 2500 HD Work Trucks at Chevrolet of Naperville give Aurora drivers a surefooted, powerful way to tackle any job and we make it easy to put one in your driveway. Speak to one of our dedicated finance specialists to learn about the easy financing, factory rebates and incentives, and dealer specials all designed to make your heavy-duty truck affordable on any budget. Even if your credit is less than perfect, we can help get you the funding you need. When you’re ready to maintain your truck, we can help with that too. Our Preferred Owner Program provides industry-leading incentives for using our Chevrolet-approved service center to keep your vehicle in top running order. You can even earn service credits for visiting your favorite online retailers. Contact us today to learn more and see how hassle-free getting behind the wheel of a new heavy-duty Chevrolet work truck can be.